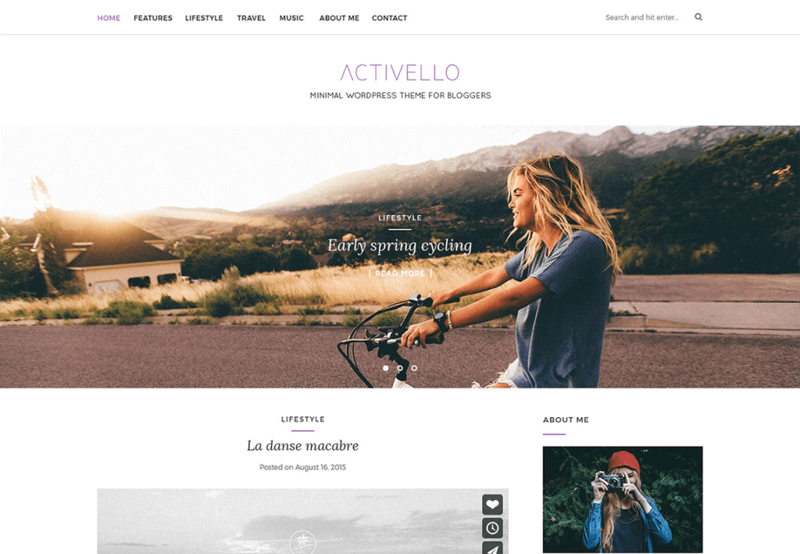 Activello is a beautiful, clean and minimal WordPress blog theme. Which is well suited for food, fashion, travel, lifestyle, sports and any other awesome blogs. Activello theme has multiple features like WooCommerce integration that allows you to create fully functional eCommerce website side by side with your blog. It has many customization options that are available WordPress Theme Customizer. Activello is also multilingual ready and translated in several languages. Activello is awesome blog theme which is also SEO friendly helping you to achieve the highest positions on Google. So if you want to create any blog theme then you can use this theme because it has all features which you want in any blog theme and Activello is the only WordPress blog theme you will ever need. Activello is fully responsive theme which looks good in all devices like in desktop, tablet and mobile.